Coral Trees ( Erythrina, FABACEAE ). 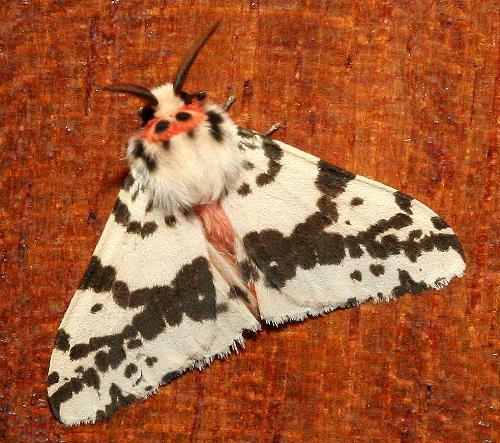 The adult moths have white forewings with black markings. 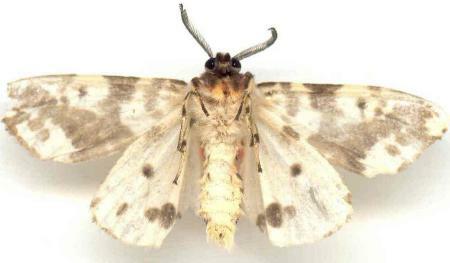 The hind wings are also white with several round black spots. The body is scarlet on top. The wingspan is up to 3 cms. 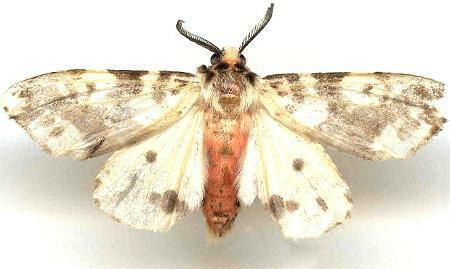 Moths of Australia, Melbourne University Press, 1990, pl. 19.14, p. 435. LeapFrogOz, Kuranda, 2015, p. 16. Part 3 (1855), p. 676.